I'm spearheading the complete re-rip of http://www.sprites-inc.co.uk/ graphic archives and replacing everything with data rips. Of course this means dealing with compression at times, and the game I'm currently working with is Mega Man X4 (X5-6 look to use the same compression method just by looking in Tile Molester). The player sprites and weapons seem to be the only things that are compressed fortunately. I know I can dump them with a VRAM viewer, but I'd like to increase my knowlegde and skills by figuring out the decompression routine; I just need a bit of guidance on what I'm doing. I found a tool called BioFAT that was able to split the game archives into parts. Looking at the palettes stored in the files, I was able to determine what the compressed graphics were, despite not being able to view them. Here are the files, perhaps someone recognizes the compression method and/or a tool exists already that would work on them. At any rate, I'll probably be stuck using a debugger and figuring out the decompression routine myself. I've been messing around with PCSX Agemo Debugger and pSX's built in debugger the past couple of days and want to make sure I did everything correctly. I figure I better make sure I even found the correct routine before I start trying to figure out what it all does. 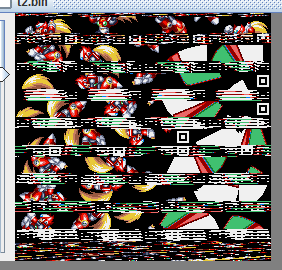 1) Use GPU upload breakpoint to find where X's graphics are loaded into VRAM from and then dump the RAM. 2) Use tracing and assembly logs to find the code being executed. Tracing: Use the emulator's Save(F1),load(F3) + debugger's "total inst." a) Emulator F1 then F3 (set "total inst." to 0). b) Break on Memory Write ($8016DEA8 in this case). d) When break point occured, remember current "total inst." value. e) Emulator F3 (set "total inst." to 0 again). f) Use "exec" to execute to before. g) Then you can enable "asm log" to get all the instructions. 3) Use AdisasM to disassemble the RAM that was previously dumped and search for the final snippet of code that was executed in the assembly log. This snippet should be located in the Decompression Routine, so just copy the entire function. 5) To help confirm this is correct, use pSX's built in debugger and set a memory write breakpoint on $8016DEA8. 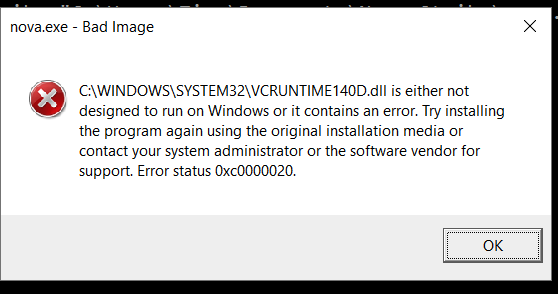 Open the Memory and Dissasembly windows, and use the Step Into (F7) command. 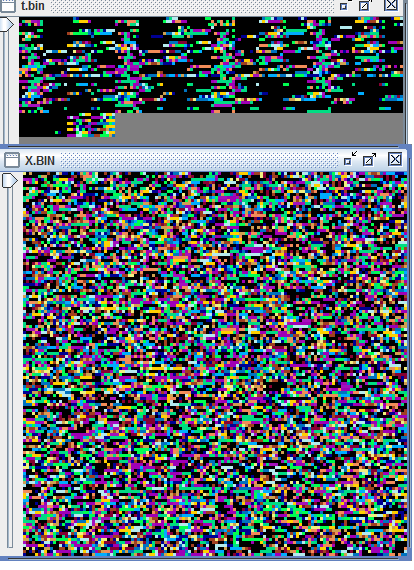 Disassembly shows the game going through the code we pulled and Memory shows data being written into RAM. That looks indeed like a decompression routine, specifically a 16 bit LZSS with a custom case where it fills the dec buffer with zeroes. It's a bit off-topic but could you share any notes you have regarding the pointer system for this game? There's these packed (apparently not compressed though) archives PL00_U.ARC PL01_U.ARC and PL02_U.ARC and they hold all graphics but also text and sound. The US version apparently still has the JP audio files in the archive, and inserting the JP variant of said files in an US iso restores all cut voice acting, which means it might be as simple as repointing stuff in the US archive file. Cool, now I can move onto figuring out what it does exactly. I haven't really done anything with pointer tables as I am more interested in just dumping all the graphics/palettes (eventually audio stuff too probably, but the main focus is the graphics/palettes right now). If the audio files are still present, then I would imagine just repointing things would work. Still debugging the routine, because it's still not functioning 100% yet, but I'm getting closer! I'm stupid and forgot to set mode to 2-dimensional in Tile Molester. It works! Ignore the Ultimate Armor palette, that's just what I had on hand at the moment. Now I just need to tell my program to keep decompressing till it reaches the end of the file. I'll probably be able to release a build pretty soon, so GET READY! I can also confirm it works for MMX5-6 as well (those games were built off the MMX4 engine after all). And for a special treat, have a look at two unused frames for the Gaea Armor (MMX5). The Gaea Armor is unable to use weapons, but lo and behold, some graphics exist (which in this case is Rising Fire from X4, I don't think these frames even got re-used in MMX5) as well as a complete set of palettes for the armor. Also, yes that is the Force Armor left in the data when the Gaea Armor didn't need those frames (lazy Capcom). And just so Zero doesn't feel left out, and because I want to showcase this thing works for MMX6. I apologize for not getting this out sooner, but I needed the time to put together documentation on everything, and being ill took out a large chunk of time that would have otherwise been spent completing this. Keep in mind this is still a beta build, but it will still get the job done. There are 2 known looping errors that occur if you try and decompress from incorrect offsets, which I'll hopefully be able to patch in the next version. The included offsets in the documentation should keep you safe from the looping bugs. If anyone has suggestions for improved code, bugs to report, etc. please let me know. This is a command line utility, so no one better post the infamous "it closes immediately on opening" error. Meanwhile, I'll be working on fixing those pesky looping errors. That assumes the cpu is little endian, just like the original. If you're really paranoid about endianness, you can change the input-output buffers to whatever abstracted object. EDIT: optimized code for great justice. SNES/SFC ROM Hacking Tutorials: Understanding Pointer Tables, Adding a custom intro.